Australia Day Canberra in the national capital can be seen to revolve around the structure of state events. 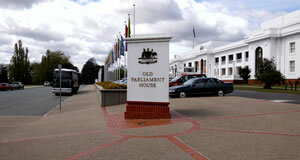 However there are so many fun things to do in Canberra to get out and about to. Get along to Lake Burley Griffin and get around it on a bike and checkout the gorgeous surrounding parks. Australia day is about spending time with family and friends and in Canberra you can do that at lots of tourist places like the old parliament house or the war memorial. But you can also find fabulous cafes, hotels and venues around the Canberra Centre or around the Lake area. Just make sure you enjoy your Australia Day Canberra style! Go on do soemthing maybe you haven't done before this Australia Day weekend in Canberra. We hope you enjoy these ideas for getting out and about. 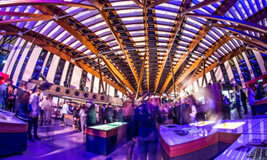 The perfect venue in Canberra for your next event. Come along on Australia Day and have a peek around. The National Arboretum Canberra is open nearly all days of the year and we have some fabulous venues at this site over looking Lake Burley Griffin. The quintessential flavour of all Australia Day celebrations is in the great aussie BBQ. So if you want get your friends together and make some fun around a BBQ at someones house backyard or at a park. February 14th marks Valentine's Day Canberra as the next Big Day in the year. Get romantic with ideas this Cupid Day in Canberra.